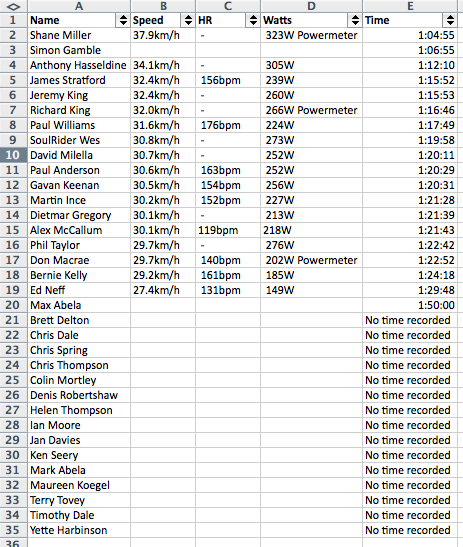 The results of the 2014 GreenWEDGE Cycling TT are in and it was Shane Miller of the Kosdown Team who recorded the best time with a blistering time of 1hr 04min 55secs! Here is the GWC TT segment. He was very closely followed by Simon Gamble but alas Simon left his Garmin and phone at home. No official time. In official second place was Anthony Hasseldine at 1:12:10. Finally there was James Stratford in official third place at 1:15:52 making up the fourth spot! For an event that was cancelled we were able to have quite a good turn up of 34 registered riders. The ride kicked off in good conditions with no wind at a temperature of 10C riders getting away at 8:30AM after registration and briefing. 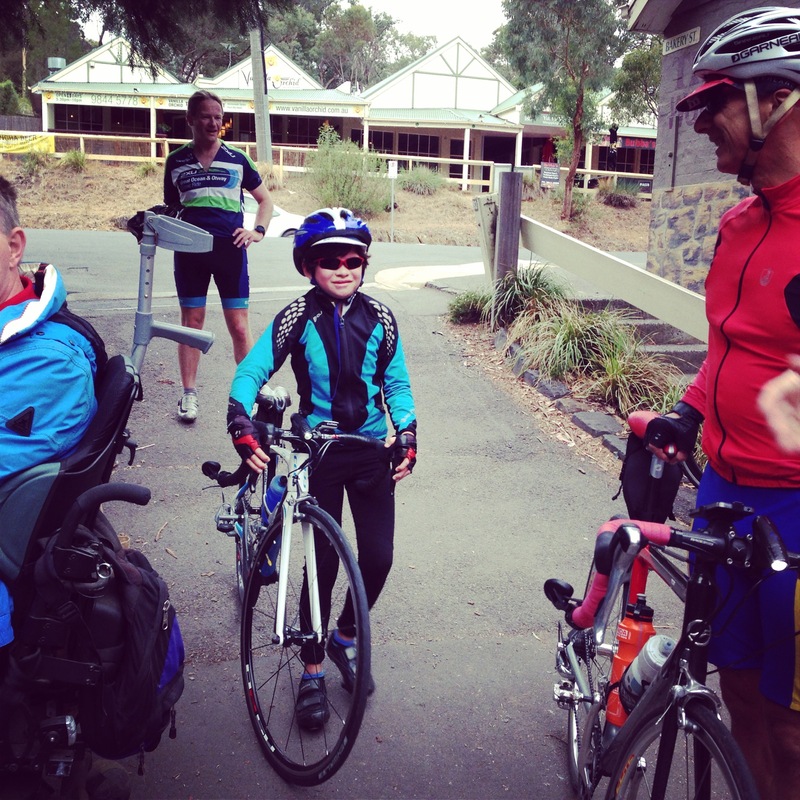 The first rider under 12 years was Max Abela who came in came in at 1:50:00. In the senior ranks it was Don Macrae, completing the ride in 1:22:52. Wes Hurrey from SoulRider Spin Studio provided a five ride pass valued at $70.00 to a random rider on the TT. It was drawn this morning and won by Mark Abela. Congratulations! 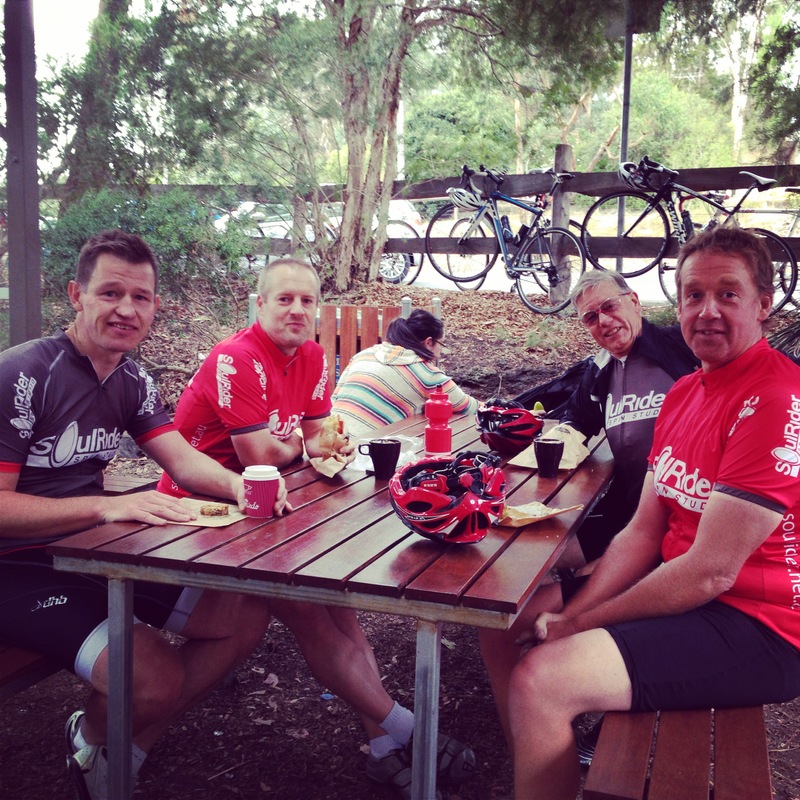 Once the ride was complete everyone scoffed baked goods and coffee at The Bakery in Warrandyte, an exceptional morning. 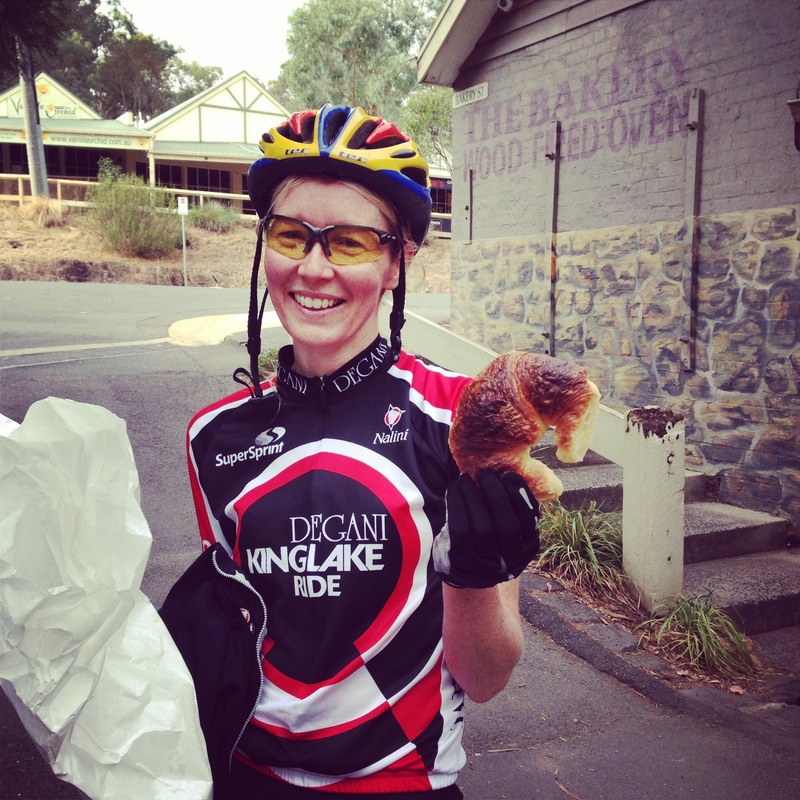 The QOM was Yvette Harbinson. Here’s a couple of comments on the TT. 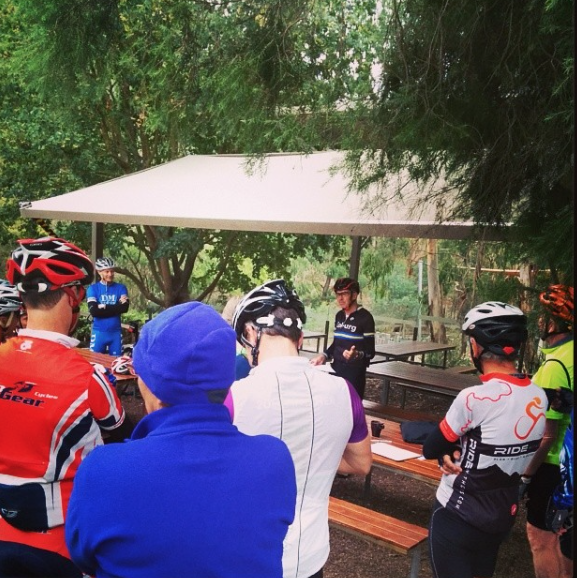 “Came 4th in this morning’s 41km TT with 650m of climbs It was won by Shane Miller, who’s a champion racer. Great to see lots of my riding mates and a few new faces. Strangest thing was I dreamt I would do it in 1:16. I did it in 1:15:52. 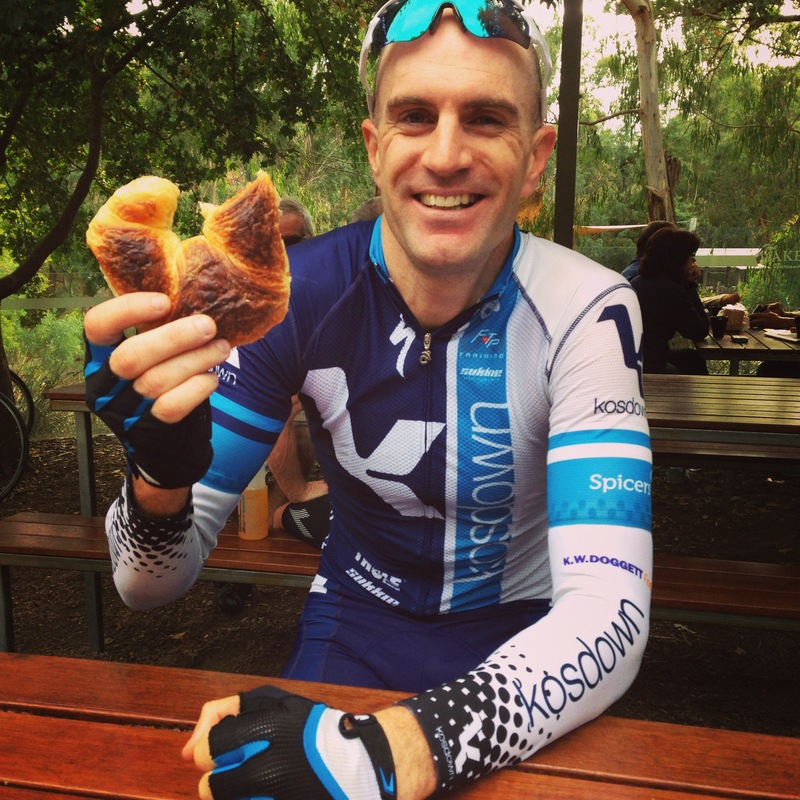 Took chunks off of time off the climbs….. ” James . “Was a great little hit-out… that cooked me for the rest of the day! I didn’t move from the couch once I got home….” Shane. Here are some of the post ride photos. Thanks to all those who signed the Amy Gillet Foundation petition calling for a minimum overtaking distance when drivers pass bicycle riders. Thanks Chris, glad you enjoyed it. See you next year or on one the monthly rides.